the shapes are and goes along with the desires of decoration. only creativity is the limit. To discover all the possibilities watch the video. Beau & Bien and Delisle present LE MERVEILLEUX. Result of a luminous collaboration between Jean Delisle and Sylvie Maréchal, Le Merveilleux preview will be at the Kortrijk Biennale (Belgium). 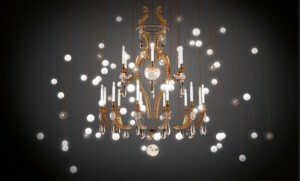 It is on the occasion of the total renovation of the mythical La Maison Astor Paris, founded in 1907 by JJ Astor, creator of the famous Waldorf Astoria in New York, that Marc Hertrich and Nicolas Adnet from Studio MHNA appealed to the creativity of the designer to create a chandelier specifically designed for the venue. 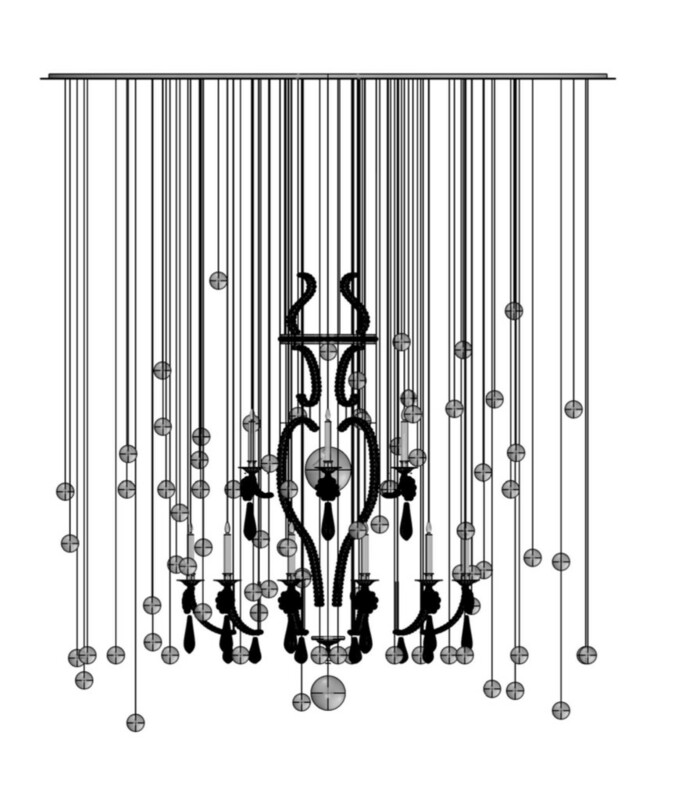 Beau & Bien designs custom-made chandeliers adapted to all spaces, contact us for all your projects. Challenge 3: Perfectly round sphere with more than 600 pieces. 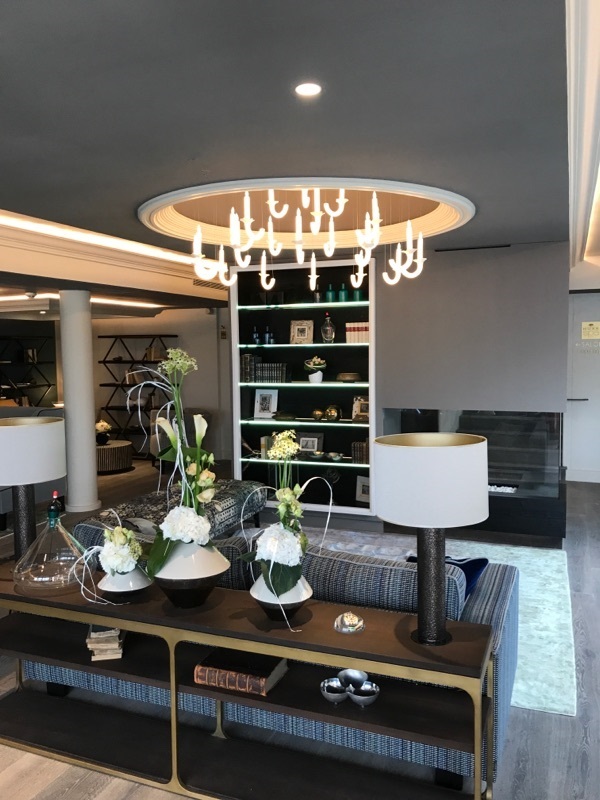 Like a tiny milky way made up of planets and various stars, the brand new creation of Sylvie Maréchal takes its summer quarters in Cannes at the Gray d’Albion. 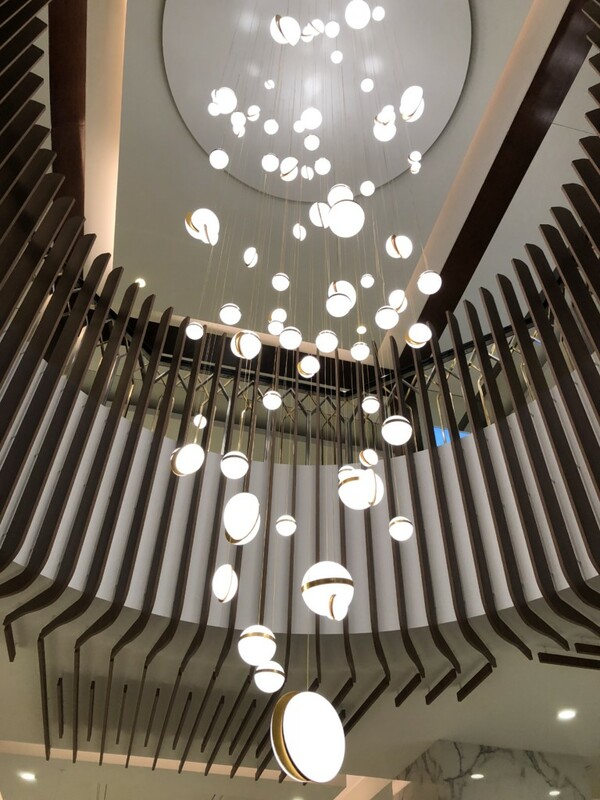 The installation goes through 2 floors on 5 meters height, encouraging the clients to go upstairs to discover it also from the top. Rain of Light over the City of Light ! All of our collections can be custom-made , you can send us your project and we will send you 3D images! As fallen from the sky, these “meteorites” associated with each other can compose all sorts of forms such as this giant globe … which disintegrates! Everything can be custom-made, send us your projects, we will send you 3D images! 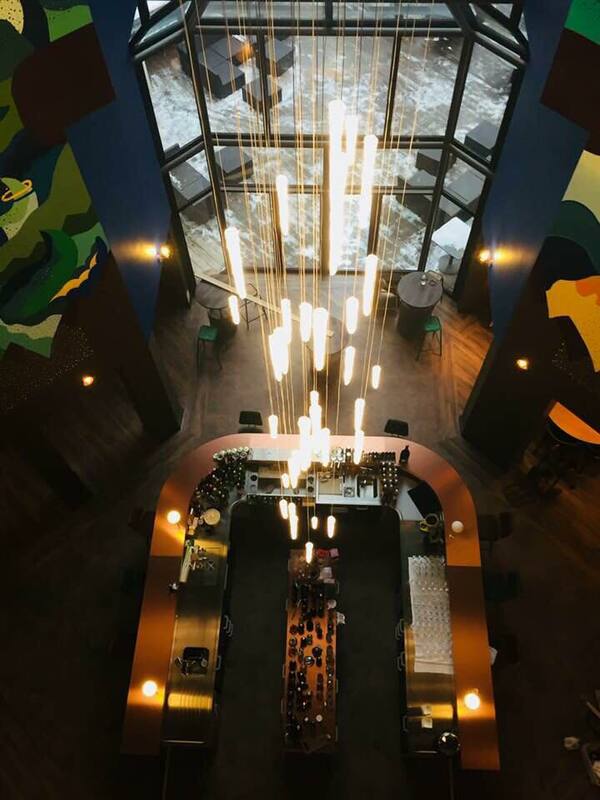 It is the Deconstructed Wersailles chandelier of the designer, which Jacky and Valérie Ribault chose to light their new restaurant! 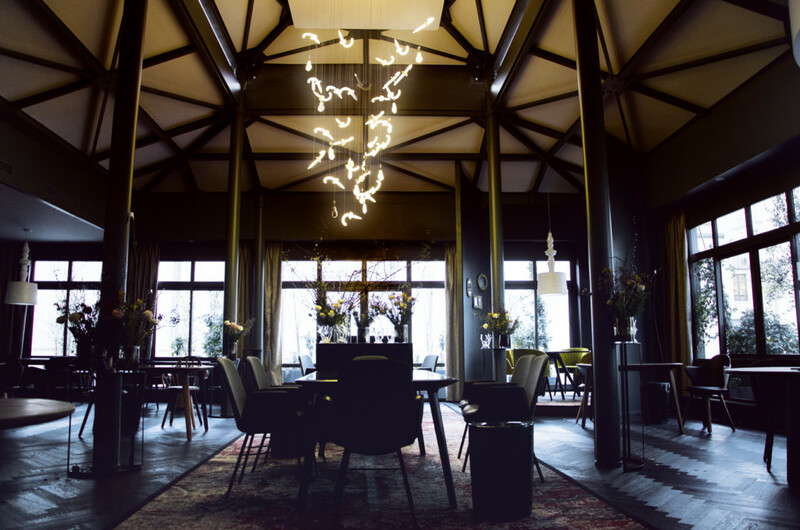 L’Ours, the new restaurant of starred chef Jacky Ribault, has just opened under the light of her chandelier entirely made in LED and Limoges porcelain: what’s more legitimate in a restaurant! Jacky chose this Deconstructed theme looking like his Cuisine: a disorder thought but organized while subtlety and refined. Sylvie, for her part, as a signature, drew a bear that embraces a candle holder, signing this way a piece of art specially dedicated to the restaurant. 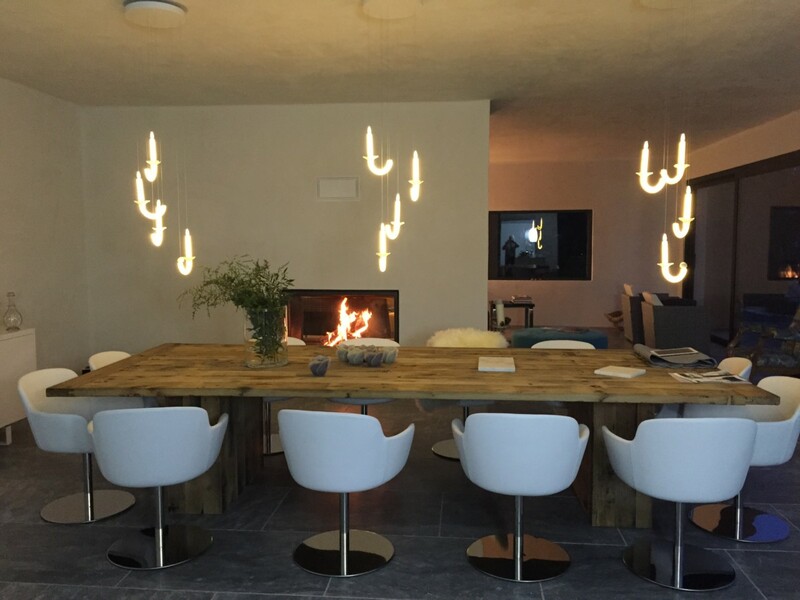 New creation of Sylvie Maréchal in collaboration with the team of House Number 20. An icy creation to be discovered at the Hotel Le Refuge des Aiglons in Chamonix. 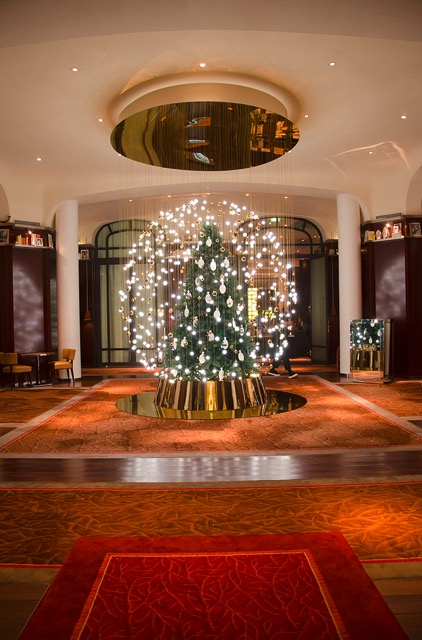 Brand New Creation at the Royal Monceau ! 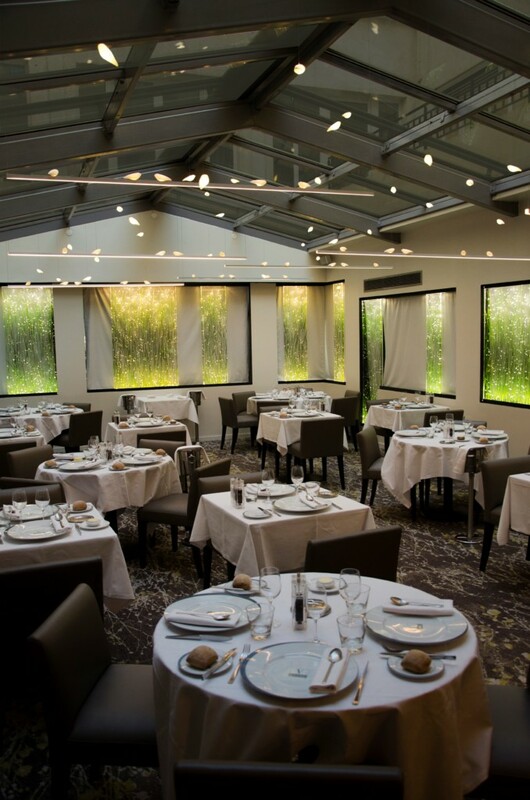 It is the Restaurant Vatel in Paris that welcomes the latest creations of the designer Sylvie Maréchal! The Louis 15 dangling drops highlight the VIP table. 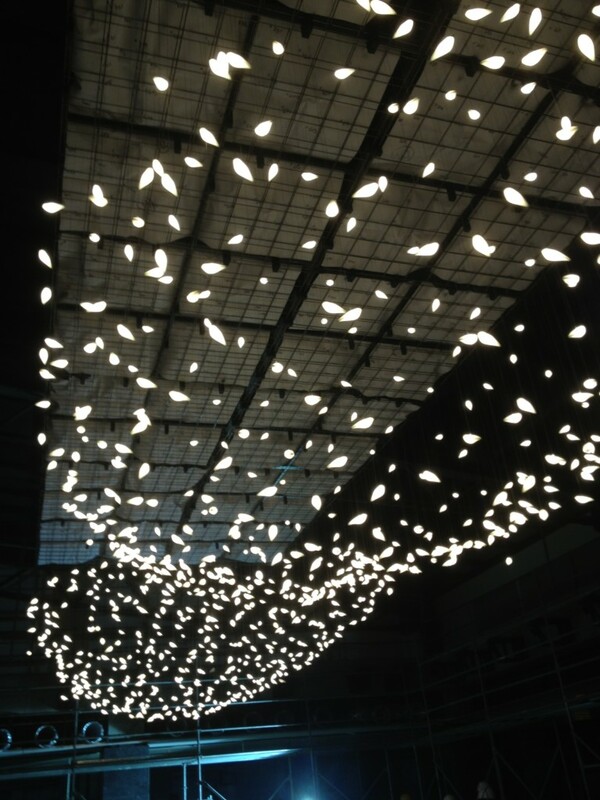 LED and Limoges Porcelain rhythm these creations all bespoke made! Tradition, modernity and luxury “à la française”, sign once again this creation! 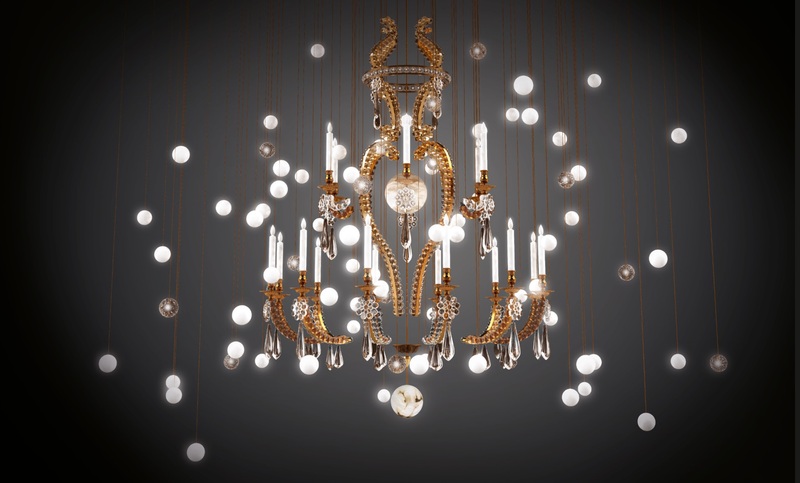 With our Bespoke chandeliers the possibilities are endless… contact us to discuss about your project ! The rain falls in a Private Mansion ! 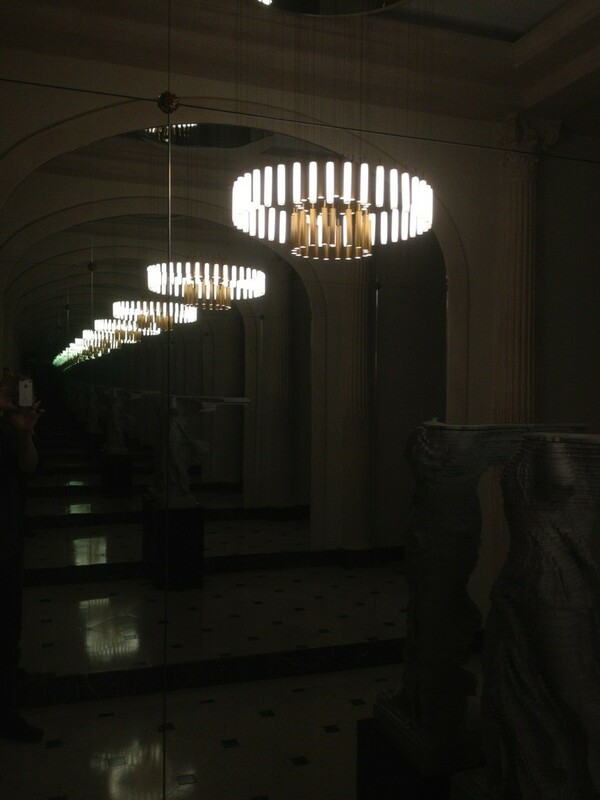 The Beau&Bien team has recently ended one installation of 3 bespoke chandeliers in a private mansion. 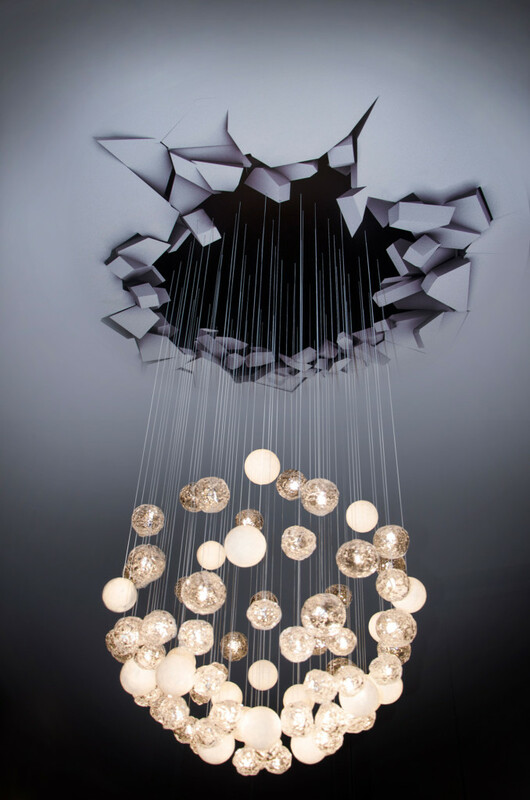 It is the Rainy Day collection which has adapted to the different spaces of the place to create different effects. 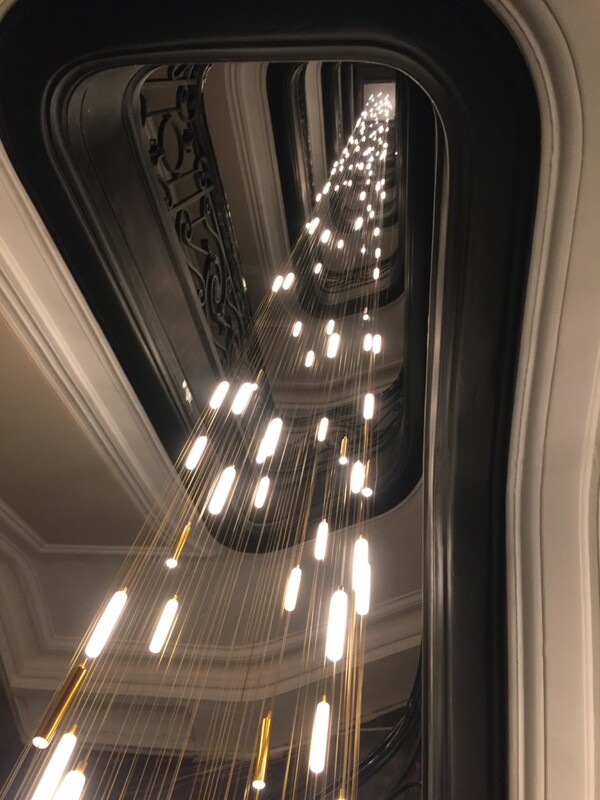 An Art-Déco version that is reflected to infinity thanks to the mirrors, but also an inverted Pyramid chandelier playing with the gilding of the walls or even in the form of a slow motion rainfall in the staircase. 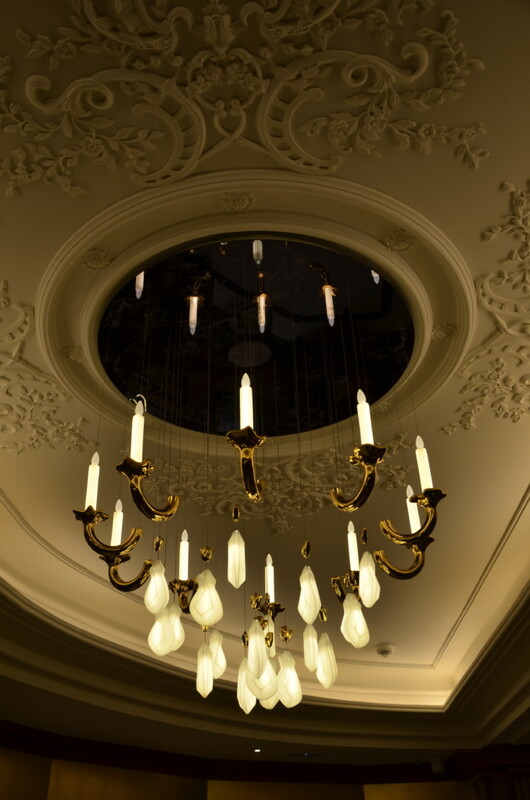 With our bespoke chandeliers the possibilities are endless… contact us to discuss about your project! 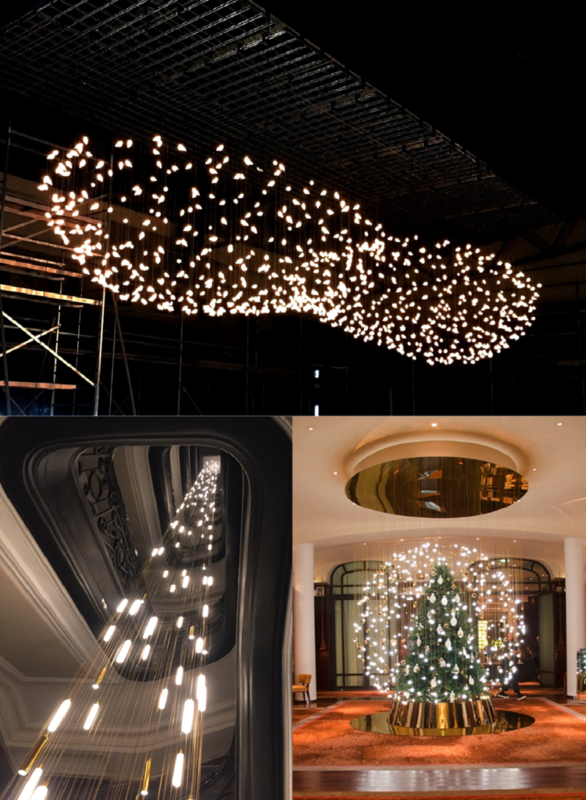 Like the giant clouds of birds that sometimes appear in the evening at dusk, we created this giant chandelier composed of 860 Limoges porcelain birds … A true work of art of 12 meters by 4 meters. All the Beau & Bien collections’ can be custom-made, contact us to discuss about your project ! 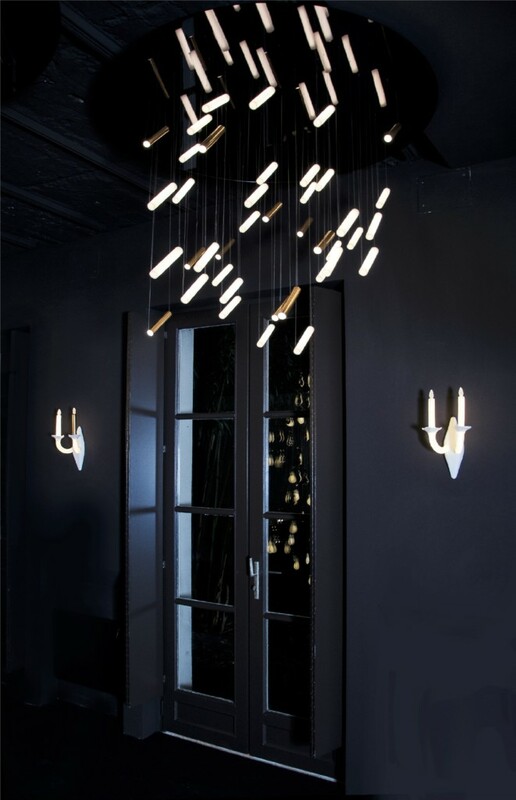 For example, the Wersailles collection which illuminates the table of an old sheepfold house in the south of France. 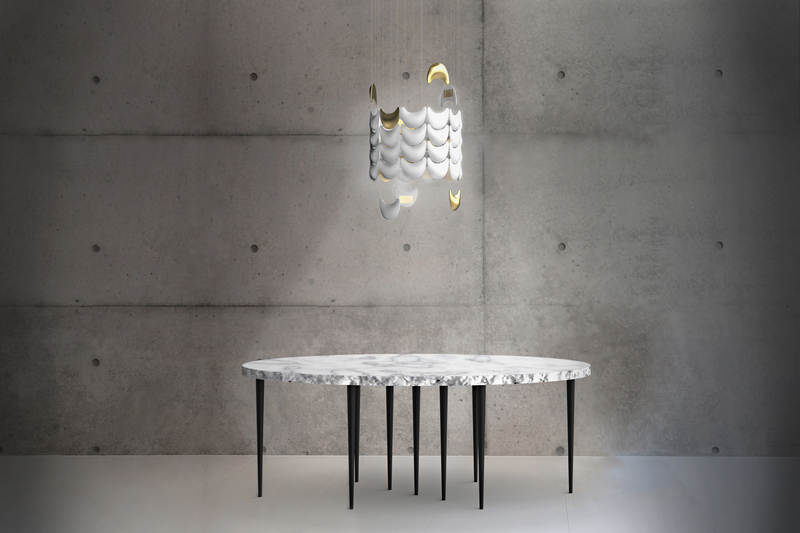 Or at Gent in Belgium where the Smoon Birdie Light birds form a flock above a table to create an atmosphere both poetic and contemporary. All the Beau&Bien collections can be custom-made, contact us to discuss about your luster project!